"When it comes to cleaning, it’s easy to feel like it’s all up to you. But with the Scrubbing Bubbles® Automatic Shower Cleaner, you’ve got a cleaning partner that takes care of the tough stuff for you. Simply touch the button and walk away—the dual sprayer spins 360 degrees to spray a penetrating cleaner on all four walls and tub. The formula attacks soap scum and cleans mold & mildew stains, allowing you to wait to clean your shower for up to 30 days! A booster button provides even more cleaning power when you need it. And now your Scrubbing Bubbles® Automatic Shower Cleaner starter kit comes with a Fresh Clean formula that keeps your bathroom smelling great for up to 24 hours. Do you hate cleaning the toilet? It can be the most disgusting task in the house. Might not be the most difficult task, but it is never ending. Wouldn’t it be nice to remove yourself from toilet-cleaning duty? Introducing Scrubbing Bubbles® One Step toilet bowl cleaner—the toilet system that works hard to keep your toilet clean and smelling fresh so you don’t have to! Start with a clean bowl and it will easily keep it clean with just a couple of sprays a day. The powerful cleaner tackles tough stains like toilet rings, hard water marks and lime scale – and helps keep them away. Simply clip the nozzle over the rim inside the bowl—it securely fits all types of toilet bowls. Then effortlessly spray the bowl with the tap of the foot pedal and walk away! The 360 degree spray will cover the complete bowl, even under the rim." What we thought: The Scrubbing Bubbles products we tried out were pretty awesome! They really help make keeping our bathroom clean a breeze. I hate scrubbing the the shower. With the Automatic Shower Cleaner, its as easy as pushing a button. It fits most standard shower types and works really well to keep the soap scum off the shower walls and curtain. The One Step toilet bowl cleaner is just that easy too! One Step and the unit sprays the toilet with powerful Scrubbing Bubbles cleaner to help keep the toilet clean for even longer. We were definitely satisfied with our Scrubbing Bubble experience:) ABCD Diaries gives Scrubbing Bubbles an A+! "Planning to get pregnant soon and want to prepare? Trying to get pregnant and having issues? Introducing SpermCheck® Fertility, the fast, accurate, affordable, at-home sperm count test for men, now available online from Walgreens.com. SpermCheck® Fertility is currently available online at www.Walgreens.com and www.CVS.com and will be available in Walgreens stores nationwide in April 2012. Suggested retail price is $39.99. 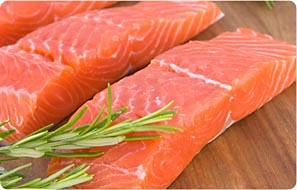 for more information about SpermCheck® Fertility, visit www.spermcheck.com. For the latest information on store availability, news and special giveaway offers, join our Facebook community ." 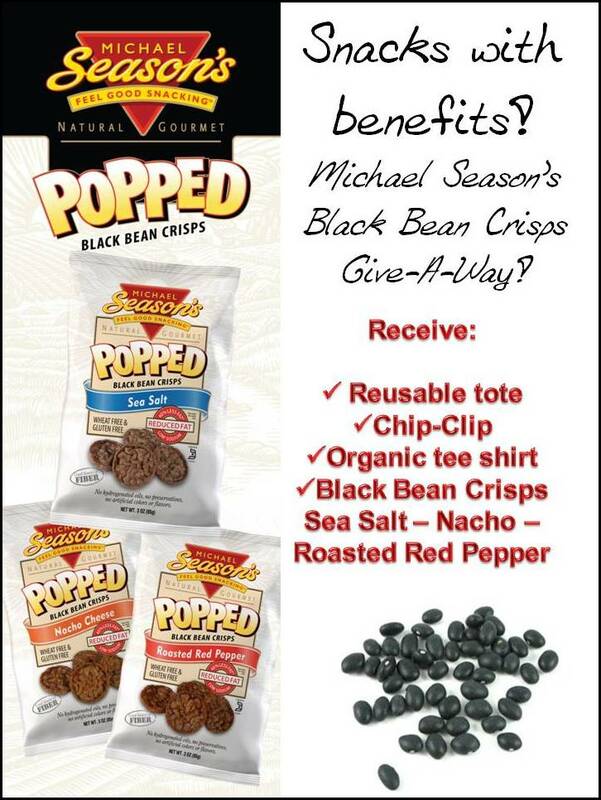 What we thought: The Michael Season's Black Bean Crisps were pretty good:) We especially enjoyed the simplicity of the Sea Salt variety. These crisps are light and airy, but hearty enough for dipping in salsa or hummus and have a really great crunch! 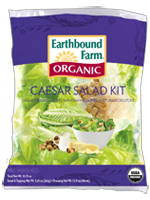 They are great for afternoon snack and stay crunchy all the way until lunch time in A's lunch bag. They would also make good party fare the next time you entertain. 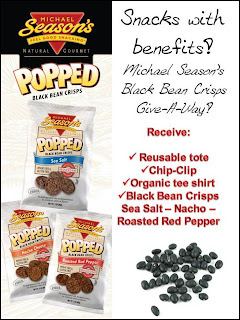 ABCD Diaries gives Michael Season's Black Bean Crisps an A! "For 15 years, The Brainy Company’s primary product line, Brainy Baby®, has been a pioneer and leader in educational videos for children, preschooler books, toddler learning games, flashcards for preschool and learning toys for infants. This award-winning line of kids learning tools introduces educational subjects such as: learn the abcs, shapes, animals, art, music and so much more. Brainy Baby® educational videos for children feature multiple ethnicities, inspiring original music, nursery rhymes and instrumental classics. Brainy Baby® has won over 75 national awards, including: Dr. Toy’s Top 100 Best Children’s Product, the Dove Foundation’s Seal of Approval, Parenting Magazine’s Top Videos of the Year and more. As The Brainy Company continues to grow and expand, you can count on us to put your child's best interest first. The mission of The Brainy Company is about helping children develop a love of learning for a lifetime®. Your child´s future is our inspiration.®"
These unique and adorable wooden vehicle characters have very special cargo - flashcards on academic topics like letters, numbers and more! 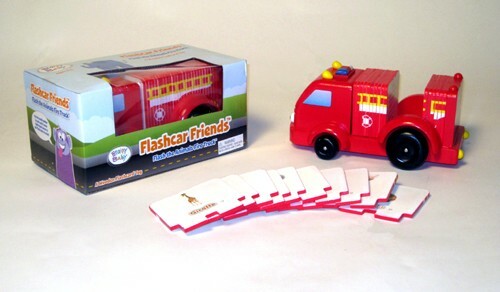 Each Flashcar Friends™ vehicle is made of wood, including the flashcards too! Flash the Animals Fire Truck‛s flashcards are filled with cute pictures and interesting facts on lots of different animals that your child will love to discover. Whether you roll him around or take him on-the-go, learning about animals has never been so fun. These awesome additions to the Brainy Baby® line of products are especially designed to help your child develop a love of learning for a lifetime®. Collect Flash‛s other Flashcar Friends™ - Rudy the 123s Recycling Truck™, Aerial the Shapes & Colors Airplane™ and Sadie the ABCs School Bus™ - and open up a word of discovery for your child." What we thought: Both A and D have really enjoyed playing with Flash:) It is super educational and a lot of fun. A is just learning to read so she enjoys "teaching" D about each animal using the facts on the card. The cards are numbered as well which is really helping D learn about number sequence. The entire truck and cards are wooden which makes them extra durable and able to withstand the sometimes rough paly of a 3 year old boy:) A Flashcar would make a great gift for the "brainy baby" in your life:) ABCD Diaries gives the Flashcar from Brainy Baby an A+! "For more than a year, BTB Sunglasses were test marketed at professional events, trade shows and retail establishments gaining valuable insight and feedback from the marketplace. The market message was clear and consistent. Our goal was accomplished. We are extremely excited and proud to present the BTB Sunglass line of quality eyewear." What we thought: These glasses were great for outdoor activities. They did a wonderful job shielding my eyes from the sun, they didn't slip and slide everywhere even when I was at my most active. Not to mention they looked great on! We are a family who spends A LOT of time outdoors and we live in a place where we can be outside all year-round so I know these sunglasses will get a lot of use. The price is extremely affordable for the quality of glasses you receive! BTB has an extensive selection of sunglasses for all sports. Check out the Running Sunglasses or the Golf Sunglasses! These could make great gifts as well! ABCD Diaries gives BTB Sport Optics an A+! •First and only natural kid’s toothpaste to receive the American Dental Association’s Seal of Acceptance for its proven effectiveness. •No artificial dyes or sweeteners. 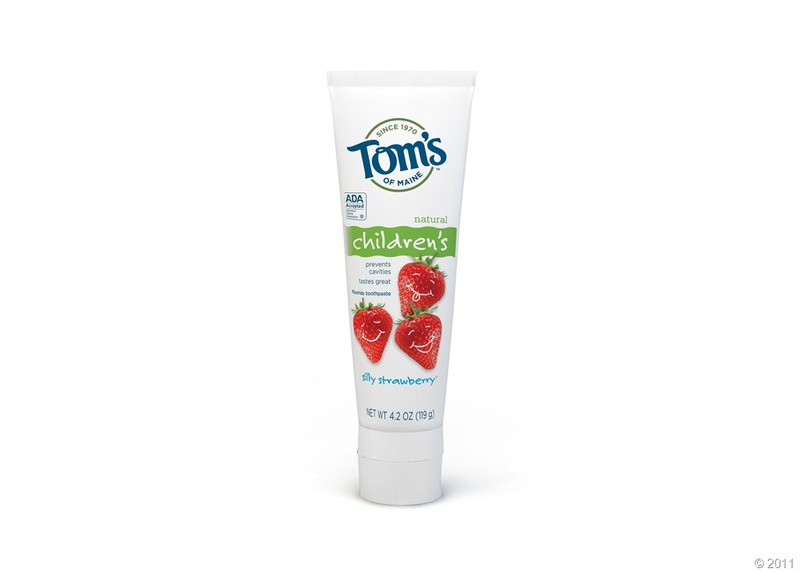 Tom’s of Maine Silly Strawberry toothpaste gets its naturally sweet flavor from real strawberries. •Available with and without fluoride: this is especially important for kids who are not adept at the whole spitting/rinsing thing yet. •Rates an 8.0 on the Good Guide for health. •Discloses all ingredients right there on the product page. 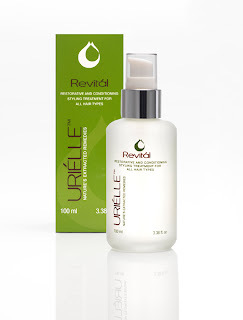 •No animal testing or animal ingredients. •10% of profits from all sales are donated to help people and the planet. What we thought: Our kiddos are 5 and 3 and don't really like the taste of mint at all, not even bubble mint, which makes it hard to find a good toothpaste for them. The fruity flavored toothpastes we've found tend to have artificial sweeteners in them. What?! Shouldn't that be an oxymoron? They actually preferred baking soda toothpastes until we found Tom's of Maine Silly Strawberry! They really love this toothpaste! I like that it is available both with and without fluoride and has no added artificial sweeteners. 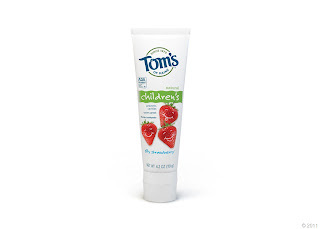 Thanks Tom's of Maine for introducing a great toothpaste into our kiddo's brushing routine:) ABCD Diaries gives Tom's of Maine Silly Strawberry an A+! "Frank’s® RedHot® Cayenne Pepper Sauce, the secret ingredient used in the original Buffalo wing recipe since 1964, has a distinctive profile that is responsible for America’s obsession with Buffalo flavor. Since then, flavor fans have discovered that there are many other ways to enjoy the great taste of Frank’s RedHot. Try Frank’s RedHot Buffalo Chicken Dip. It is a creamy, flavorful dip that has all the flavor of authentic Buffalo wings but without the mess and it’s easy to make, too. In addition to numerous recipes that include this “must-have” ingredient, flavor fans who fell in love with Frank’s RedHot Original can now choose from other great flavor varieties. New Sweet Chili Sauce is great for those seeking a sweet ‘n spicy alternative and THICK sauce has the same great flavor as Original, but is thicker for better pouring and spreading. 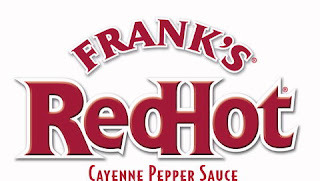 So try Frank’s RedHot on all your favorites like subs, pizza, nachos, chili, chips and more. 1. PUT Cream cheese in shallow soup bowl. 2. POUR FRANK’S® RedHot® Sweet Chili Sauce over. Sprinkle scallions on top. What we thought: We love Frank's RedHot sauces! The original sauce is great for wings, and I especially love it on mac 'n cheese. This was our first experience with the Sweet Chili and we were really impressed. It wasn't crazy sweet and had just the right amount of spice. It was great as a dipping sauce for nuggets and fantastic with egg rolls! With so many delicious varieties, Frank's RedHot is sure to have something for every member of your family:) ABCD Diaries gives Frank's RedHot an A+! 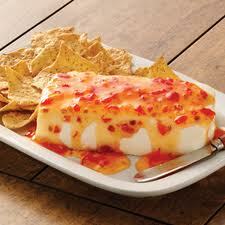 "Finlandia® has a variety of cheese ranging, from Swiss, Light Swiss, Havarti to Muenster and Gouda. Finlandia’s cheeses are all natural, hormone-free and naturally lactose-free, but the true point of difference is the taste. With over 100 years of master cheese making experience, Finlandia uses only the highest quality ingredients and carefully ages the cheese to deliver a distinctly delicious nutty and robust flavor. For those watching their health and waistline, Finlandia recently introduced New Lacey Swiss Cheese, a truly delicious Swiss cheese but without the fat and sodium of traditional Swiss. The new debut boasts a light and airy texture and 24% less fat than regular Swiss Cheese. Aged for over 60 days, the flavor is so authentic; it’s hard to tell Finlandia Lacey Swiss is actually a low fat cheese. Finlandia cheeses can be found in the Deli section of supermarkets and at deli counters. Spread mayo on all slices of grain bread. On two of the slices, place lettuce, tomato, bacon, avocado, turkey and top with Finlandia Lacey Swiss. Top with remaining 2 slices. Cut in half. Serve with your favorite chips and pickles. Enjoy! 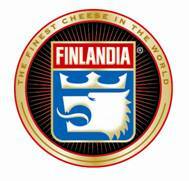 What we thought: We love Finlandia cheeses! 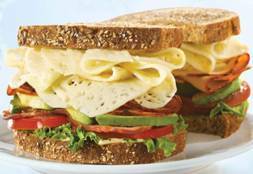 The Lacey Swiss is amazingly light and adds fantastic flavor to any sandwich. We have also tried the Gouda and Muenster varieties which are great for melting over a hot sandwich or burger. Finlandia is definitely a favorite in our house and with the extensive selection of recipes on the Finlandia website, you are sure to find something fantastic that your whole family will love:) ABCD Diaries gives Finlandia cheese an A+! "We’ve all experienced it: winter’s gift of cracked, chapped hands, elbows, knees and more. As more typical winter conditions finally begin to hit much of the country, its the perfect time for you to check out new Blistex Intensive Hand Cream, a great new formula at a terrific $2.87 price point. Trusted for over 60 years as a gold standard in treating dry, chapped and cracked lips, Blistex is bringing its extensive moisturizing expertise to the hands. This cream combines ingredients like glycerin, silicone, chamomile and other extracts to hydrate, soften, protect and soothe skin. It only takes a simple dab of this intensive cream to deliver superb moisturization, keep hands feeling silky smooth, and protect them from damage. 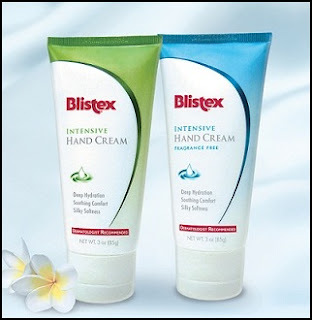 Blistex Intensive Hand Cream is offered in scented and fragrance-free versions and is now available at over 1500 Walmart stores." What we thought: We love Blistex lip products, so we were excited to learn that they also make hand cream. The Intensive Hand Cream is great. It goes on smooth and leaves my hands feeling soft and silky and moisturized without leaving behind a greasy feeling. The smell of the fragranced variety was good, but a little too strong for me. The fragrance-free hand cream was just right:) These creams would be great for healing and protecting your chapped hands this winter. ABCD Diaries gives Blistex Hand Cream an A+! "Coasterica coasters slip around the base of stemware protecting surfaces from drips and spills while also protecting glassware from chips and cracks. Coasterica beverage coasters are made from flexible silicone and easily stretch to fit most stemware. The ideal base size is from 2.5” (63.5mm) to 3.38” (86mm). 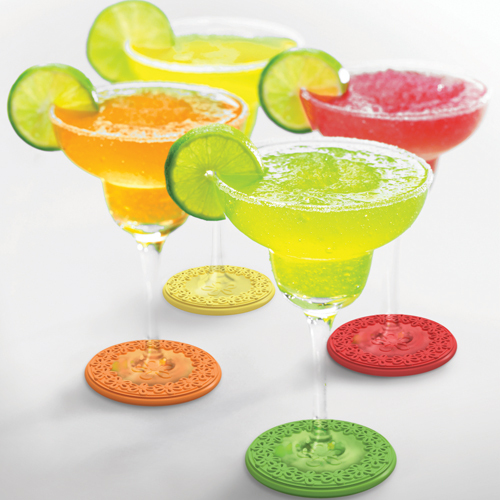 Coasterica drink Coasters are made from high grade silicone. 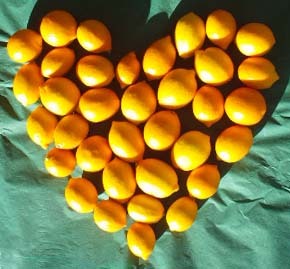 They are free of phthalates, lead, latex and bisphenol-a." What we thought: These coasters are so neat! They come in a variety of patterns and themes...something to match every occasion and personality. 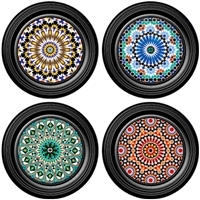 We chose the Mosaic pattern above and we love them:) They are great for a couple of reasons...They are multi-purpose coasters AND wine charms. This is great because when we entertain we don't have to remind people to use a coaster and our furniture stays ring-free, not to mention everyone can easily find their glass depending on the design of their coaster. What a stylish way to dress up our bar ware! They are reusable and easy to clean. ABCD Diaries gives the silicone coasters from Coasterica an A+! Find out more about these great coasters at Coasterica! 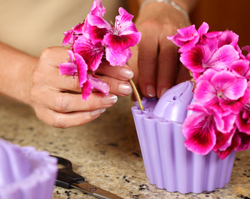 "Fleur Daily Cupcake Vases are a quick and easy to decorate vase. They have eleven placement holes at three different elevations automatically creating a rounded posy or centerpiece. There are many uses and here are just a few: Table centerpieces, posy’s, party decoration, party favors, wedding decoration and wedding favors, special event decorations, mother’s day gifts, assisted living or hospital gift. As they are non-breakable, low profile and latex free they are great for hospitals where they may be latex allergies. Fleur Daily Cupcakes are made from a special material that is free of phthalates, BPA, lead, latex and bisphenol-a. 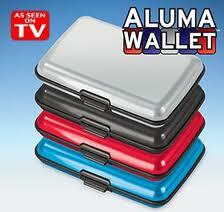 It is highly durable yet flexible and recyclable. It has the perfect properties of being flexible yet rigid. This material is used in many internal medical applications as well as being widely used in baby teethers. 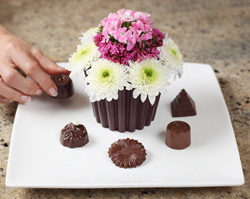 These Cupcake vases enable the creator to make the perfect cup cake posy with short stemmed flowers. Enjoy these sweet, 100% Fat Free Cup Cakes." What we thought: This is a brilliant and adorable idea! It is so easy to create a beautiful, personalized floral arrangement that is sure to bring a smile to the face of the recipient with this vase. I love that is reusable...you can use it to create a cute bouquet for any occasion. 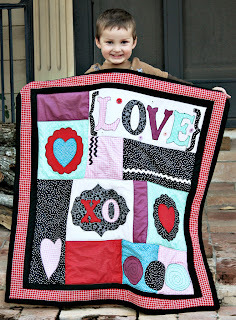 It is so easy to use, even the kiddos could create some really pretty creations. And who doesn't LOVE cupcakes?! These vases would make fabulous gifts or centerpieces. ABCD Diaries gives the Fleur Daily Cupcake Vase an A+! "A balanced meal featuring Wild Garden Hummus Dip, Crunchmaster Multi-Seed Crackers, Seapoint Farms Dry Roasted Edamame, Sweet Perry Orchards Baja Blend Fruit & Nut Mix and an Endangered Species Dark Chocolate Square. 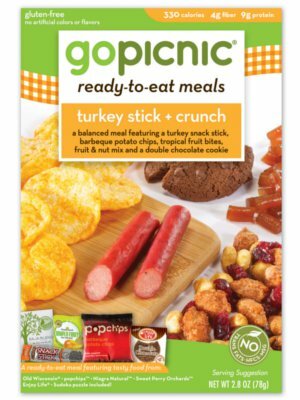 All-Natural, Gluten Free, Vegan & Kosher"
"A balanced meal featuring an Old Wisconsin Turkey Snack Stick, Popchips Barbecue Potato Chips, Niagara Natural Tropical Fruit Bites, Sweet Perry Orchards Baja Blend Fruit & Nut Mix and an Enjoy Life Double Chocolate Cookie. 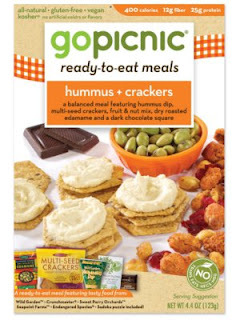 Gluten Free"
What we thought: GoPicnic provides easy meals-on-the-go that are all grown-up:) Though I must say, the kiddos enjoyed these just as much as B and I did:) They offer several varieties that include all-natural, vegan, gluten-free and kosher varieties and the items in these handy meals are great for those who are health-conscious. 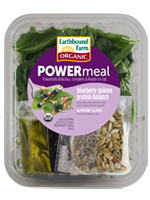 These snacks are the perfect size to make up a balanced meal that is actually filling and delicious. GoPicnic meals are convenient, healthy options for those super busy days:) ABCD Diaries gives GoPicnic an A+! "Beloved by families in Portland, Oregon, independent musician Mo Phillips is ready to burst onto the national scene with the April 10 release of his third kids’/family CD, Monster Suit. 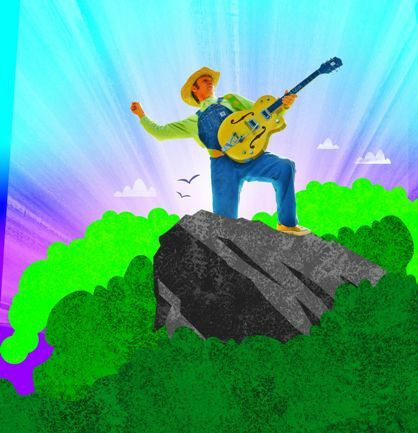 The uncomplicated charm of Monster Suit stems from its refreshing connection to what was happening in the late ‘50s, when rock ‘n’ roll was evolving from a cultural mix of country, folk, and African-American influence. 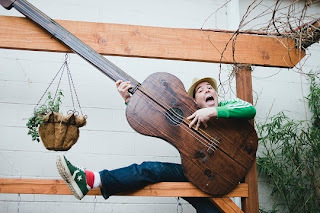 With a style and delivery sometimes reminiscent of Woody and Arlo, Mo Phillips offers classic acoustic rock ‘n’ roll with a minimum of electric effects in a finely tuned but fiery blend of Americana, soul and blues. Enhanced by contributions from a gaggle of gifted Portland musicians, Monster Suit’s variety is beyond impressive. With music ranging from “Rollerskate Banana Peels” (a super jam of crazy energy) to “All Okay” (the album’s “lullaby” ballad), each song has its own sound, beat, and artistic space that does not impinge on the other tracks. Monster Suit is exceptionally well balanced, the fidelity is first class, the players all have their acts together, the back-up singers are delightfully hip, and (the best part for many parents) the lyrics are never obscured by the energy of their setting. Mo Phillips feels strongly about not dumbing down lyrics or melodies for kids, and he sings about topics whole families can appreciate. On Monster Suit, these include being exactly who you want to be (“The Princess and The Cowboy”), a party gone awry (“The Worst Party Ever Thrown”), bad hair days (“Bed Head”), a surprising fact about ducks (“Ducks Don’t Get Wet”), and more. 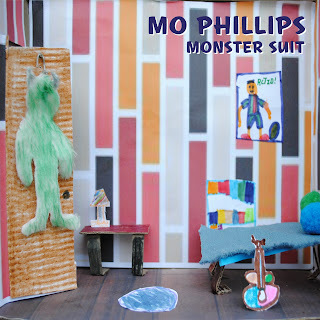 Monster Suit will be available online at www.mophillips.com, cdbaby.com, and itunes. 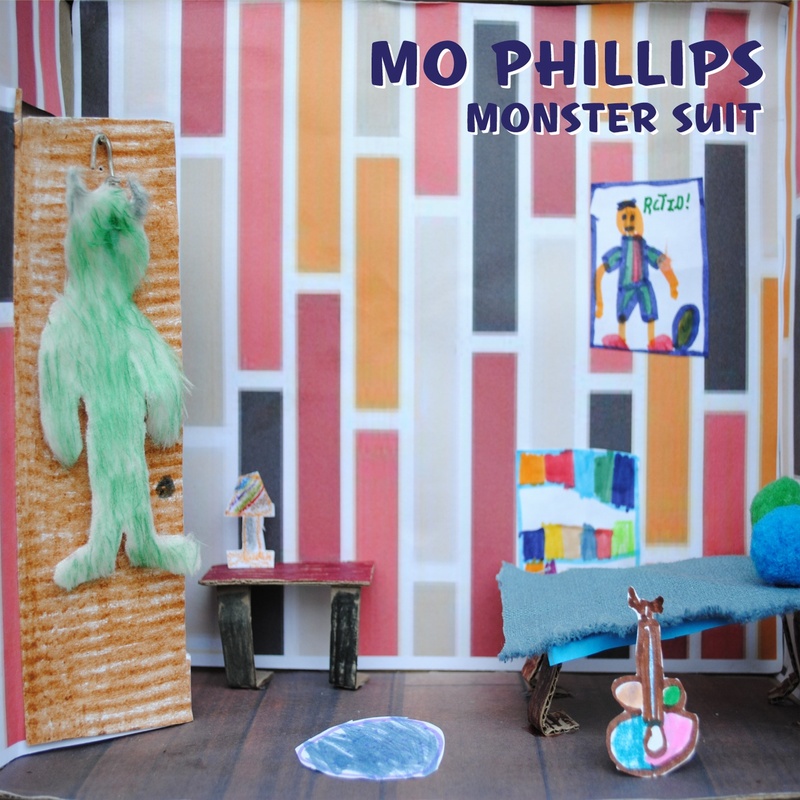 What we thought: "Monster Suit" is a lively and fun CD and we really enjoyed listening to this CD with A and D. Mo Phillips' lyrics are fun and funny and really got the kiddos up and moving. 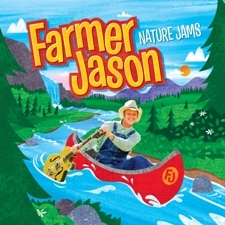 The music is enjoyable for young and old alike...everyone will appreciate Phillips' style:) We are happy to have added a new family-friendly CD to our regular rotation. ABCD Diaries gives Mo Phillips' Monster Suit an A+! Kidlandia, is an interactive site that allows kids to imagine, create, and rule their own kingdom! With its series of new innovative online games, mobile apps, plush toys and printable products, Kidlandia® fully captures personalized entertainment for kids and parents. 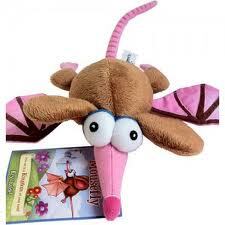 We reviewed a Kidlandia Plush Kreechur, Mouse Fly. Each Kreecher has a unique code inside the tag that connects you to the interactive online games and the rest of the Kidlandia Kingdom. The kiddos really enjoyed playing with Mouse Fly and on the Kidlandia website. I liked knowing there was a place where they could have fun without having to worry about inappropriate content. We still monitor their computer use VERY closely, but Kidlandia proved to be a great children's community where I know they'll be able to play safely. ABCD Diaries gives Kidlandia an A+! "Getting together the best of fashion and quality, Elly's Couture- the best Designer Clothing Shop brings you the ultimate collection of clothing and accessories. Whether it is the Friday evening cocktail or the luncheon with your favorite girlfriends or the corporate dinner, at Elly's you will manage to find something that would make you the center of the attraction. Elly's is a Designer Clothing Boutique that brings you Designer Fashions' not only clothes but hand bags, accessories and footwear to give you the perfect look no matter what the occasion." Elly's Couture is a great place to shop for Betsey Johnson Jewelry! What we thought: We decided to use this cute necklace as a reward for 5 year old A after she received several recognitions at her very first Awards Assembly. She absolutely loved it! 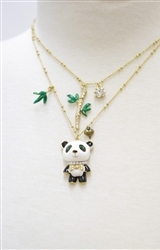 Of course, Betsey Johnson jewelry is both kid and adult friendly and I'll probably be borrowing this little cutie the next time date night comes around:) The selection of Betsey Johnson jewelry at Elly's Couture is pretty impressive and they have something to fit in everyone's budget. If you are looking for chic and affordable fashions, Elly's Couture would be a great place to start! 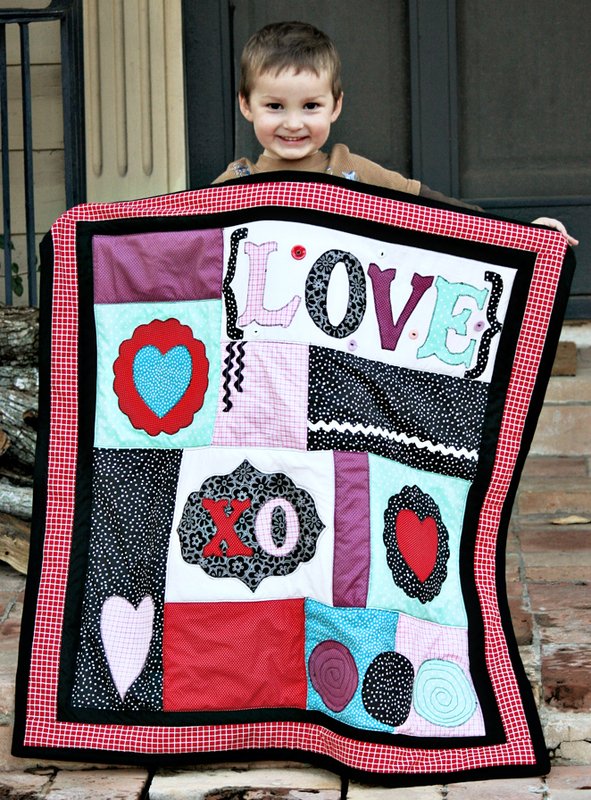 ABCD Diaries gives Elly's Couture an A+! 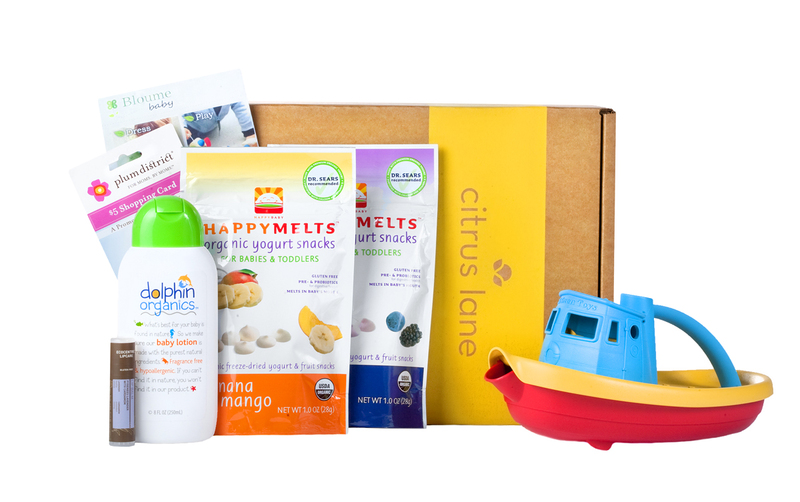 "With Citrus Lane, you'll get a box every month filled with cute and practical products recommended by real moms. Tell us your child's birthdate (up to 3 years) and we'll do the rest. The all-organic Fresh Start box was sent to subscribers this month. We created this box in collaboration with Healthy Child Healthy World, a nonprofit working to teach parents how to go green, one small step at a time, and we donate a percent of our sales to support their mission." What we thought: This is a really cool idea! It is a great way to try out a fun selection of fantastic products for your little one. In my opinion, this is way easier than researching a ton of brands and ordering from a bunch of different companies only to be disappointed with the products. 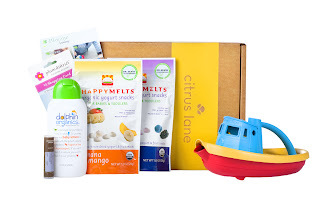 Citrus Lane has done all the hard work and all there is left to do is enjoy your monthly goodie box:) The January box was a lot of fun and included bath and beauty products for baby AND mom, full-sized food samples, a toy, gift cards and discount codes...what a great value! 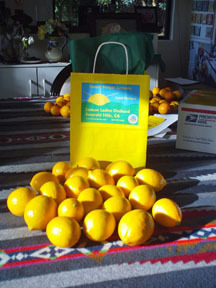 A Citrus Lane subscription would make a great shower gift:) ABCD Diaries gives Citrus Lane an A+!